30 x 15 inch MDF board that's 18mm thick. 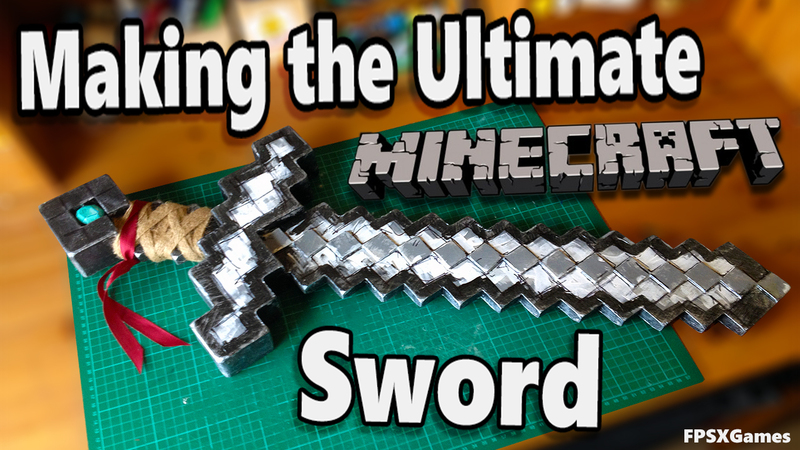 ​To start, watch the short ​YouTube video I did on this to get a better understanding. 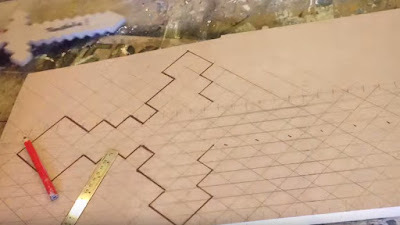 Using a pencil and ruler mark out 18mm squares grid. Using the grid, draw out the sword template. I made my sword blade longer by adding 3 more pixels to the end (optional). Also draw out two extra cross guards and two extra pommels . 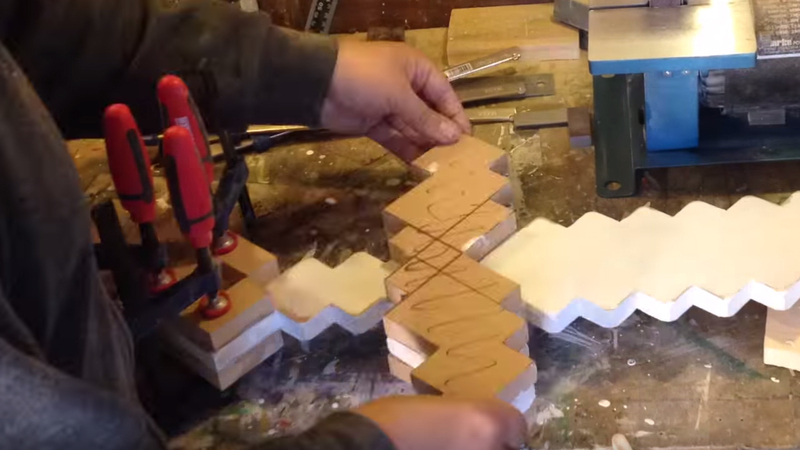 Once happy with your sword design cut out using band saw or coping saw. I used both as band saw could not make some cuts due to angle. Clean up using sandpaper if needed. Cut 18mm strips out on your hardboard and then cut into 18mm blocks. 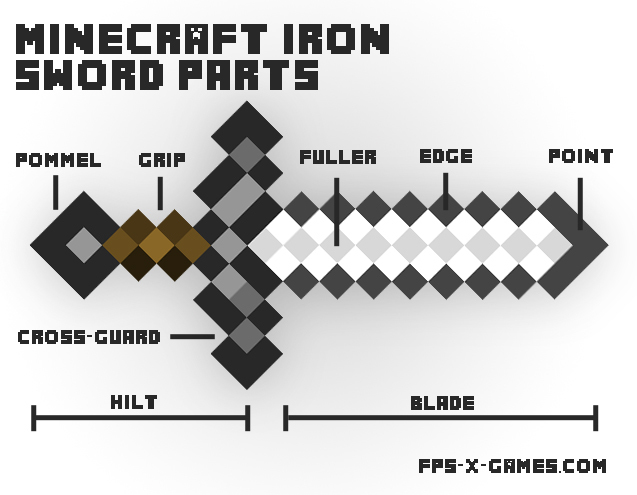 These are for the fuller (see sword parts image). Once glue is dry, sand the cross guard and pommel to make them seamless. Also glue on the fuller blocks. 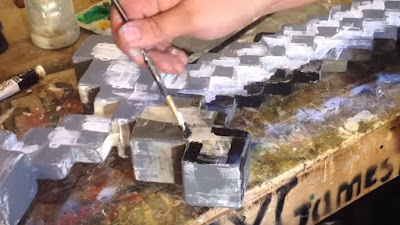 Your Minecraft sword should now be ready for primer paint. Painting is the next stage. You could follow the pixel blocks but opted for a messy look. 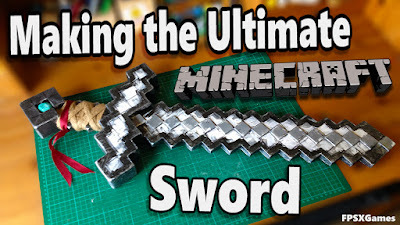 The ​Minecraft swords come in four colour options, wood, stone, iron and diamond. 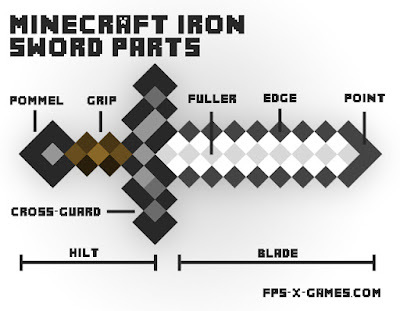 I picked iron as it's the most realistic. 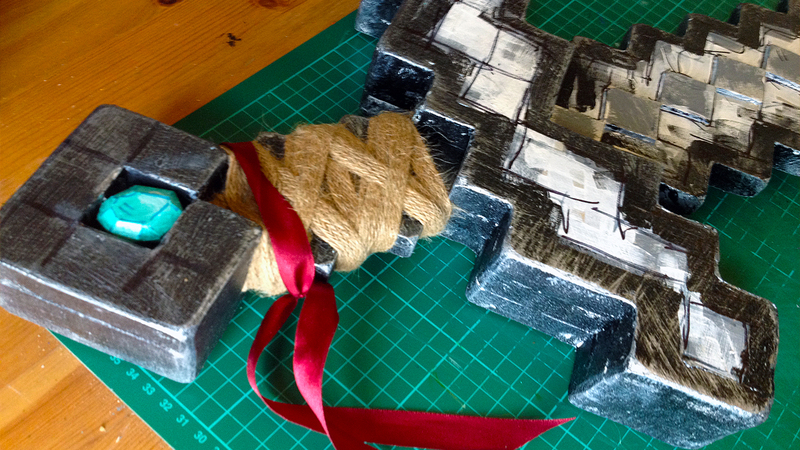 ​To finish I cut out two diamond style shapes, painted and glue them to the pommel. Use the brown sack string to wrap around the sword handle and staple into place. To finish I tied a little red ribbon around the handle. 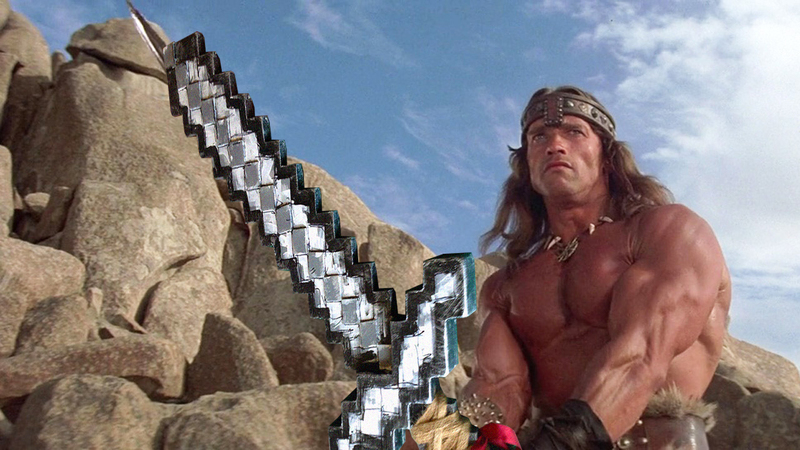 Job done, even Conan would be proud to use this!